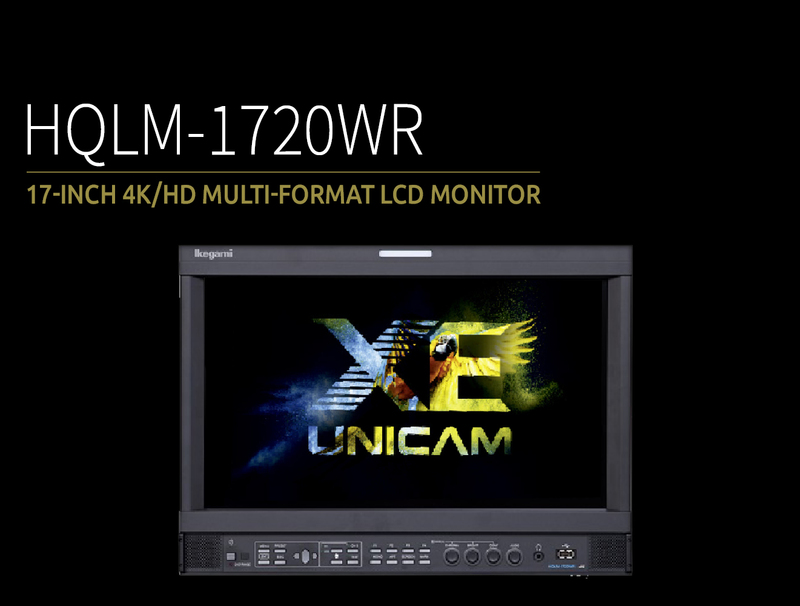 The HQLM-1720WR is equipped with 2 channels of 12G-SDI input as standard for efficient configuration with 4K equipment such as cameras and switchers. In addition, this monitor includes 3G-SDI, HD-SDI and HDMI inputs as standard. It has the flexibility to work with various interfaces in the image production field. By employing a 16.5-inch 3840×2160 pixel UHD LCD panel using LED backlight, it can reproduce high resolution 4K and 2K images. It employs a 16.5-inch 3840x2160 pixel UHD LCD panel with a contrast ratio of 800:1 (300cd/M2) using LED backlight. The monitor has a wide viewing angle allowing critical content evaluation within a horizontal or vertical viewing angle of up to 178 degrees. It provides a wide color gamut corresponding to the ITU-R BT.2020 standard. Audio output is available through internal stereo speakers, stereo headphone jack and stereo line out by automatic identification of embedded audio signals multiplexed into the SDI or HDMI signal. An embedded audio level meter can be displayed on screen as standard. Note: The output can be selected from a pair channels or a 5.1 channel down mix. 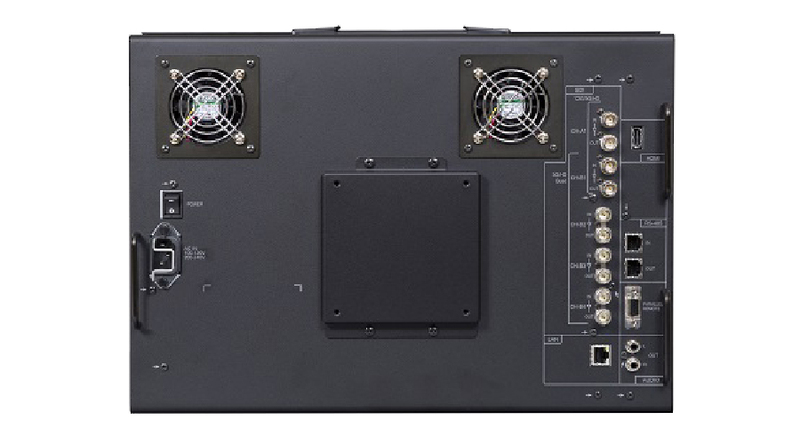 There is an available multi-display for up to 4 screens when inputting HD-SDI or 3G-SDI signals. 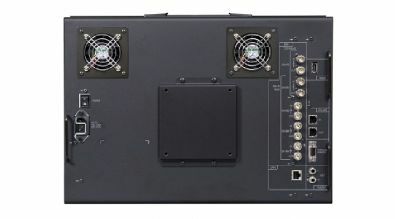 Time code (VITC/LTC) multiplexed into the HD-SDI signal can be displayed on the screen. The monitor can be controlled with the use of a parallel, serial, or wireless remote controller. Waveform and Vector displays are available on screen. A variety of test patterns are built-in. Various data such as menu, preset and captured image can be stored and copied in a USB memory.